Dot matrix impact printer connectable to weight indicators, designed for the universal printout of delivery notes, labels and tickets. Its compactness and solid structure makes it useful to use in any industrial environment. Furthermore, thanks to its lateral side opening it is possible to use any paper size. 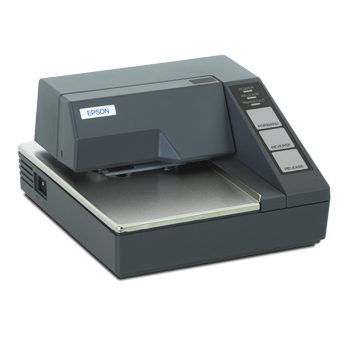 TM295 Dot matrix impact printer.